The Gulfport Police Blue C.R.E.W. 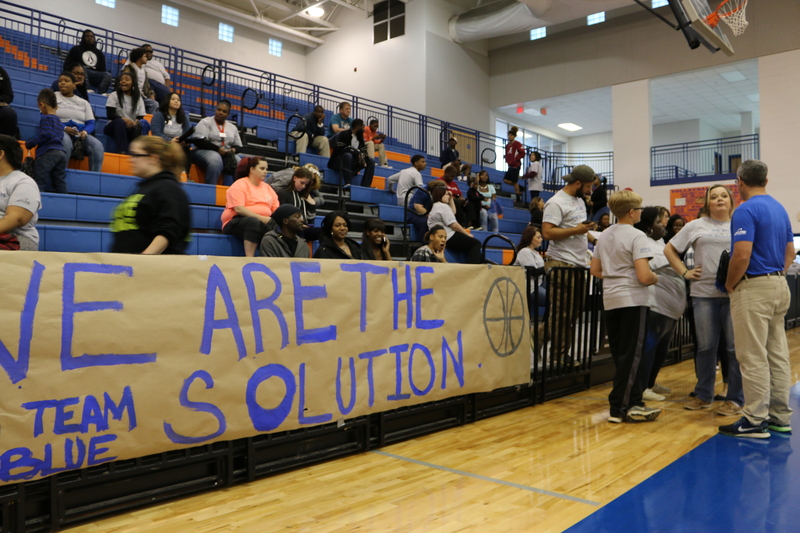 In the fall of 2016 with obvious tensions between law enforcement and young people throughout the country, the students of Gulfport High School and Chief Leonard Papania meet to find a common ground. Through that meeting, the Gulfport Police Blue C.R.EW (Creating Relationships Everywhere) was born. 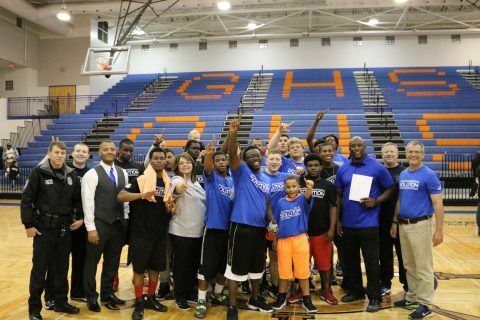 The GPD Blue Crew allows officers and young people to connect on a personal level through sports building relationships and accountability. Tension was forming between young people and police officers in the fall of 2016 with incidents taking place across the country from Ferguson, Baltimore, to NFL players not standing for the National Anthem as a protest of police action. 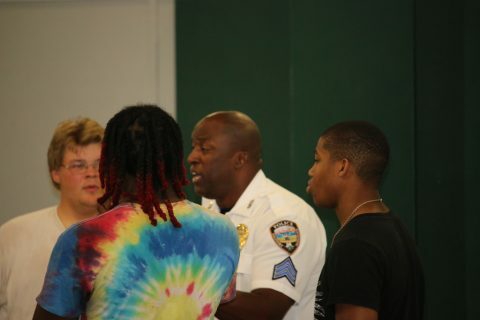 Gulfport Police Chief Leonard Papania and Gulfport High School 9th Grade Principal Dr. Oswago Harper meet with a group of young males from the school to discuss the issues facing our society. Chief Papania is known for giving out his cell phone number during presentations, but to the young people, they thought it was just a gimmick. They were shocked when they began texting the number later that afternoon and he replied. 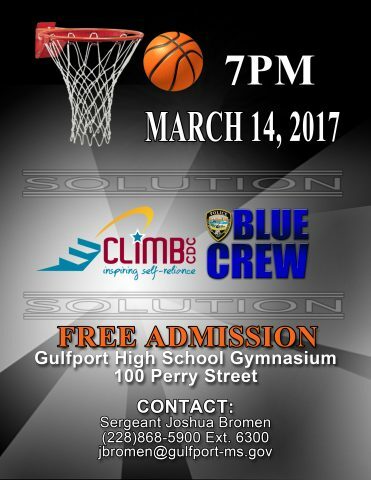 After a few OMG and LOL’s about the fact that the Chief of the second largest city in the state was actually texting them back, one student, Joshua Simmons, challenged the Chief and the rest of the Gulfport Police Department to a game of basketball. The group continued to text over the weekend and on Monday, October 4th, the Chief sent out an email to the entire department asking for volunteers to play basketball. 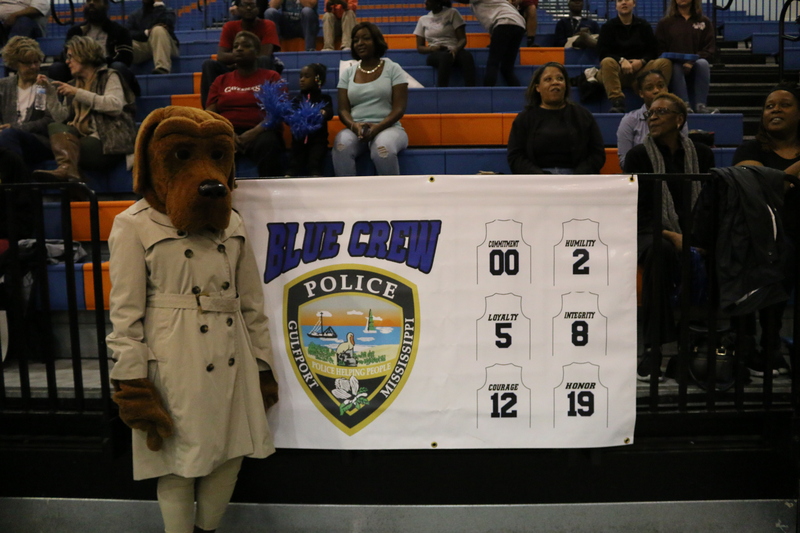 In all seventeen officers signed up to join the team and nearly every division of the department was represented in the group and the GPD Blue Crew was formed. The first game was scheduled for December 5, 2016, at the Gulfport High School. With flyers posted around town, several media interviews and the buzz of social media, the event quickly grew attention from the entire Mississippi Gulf Coast. The officers began having morning practices with a local middle school team in preparation for the upcoming game. 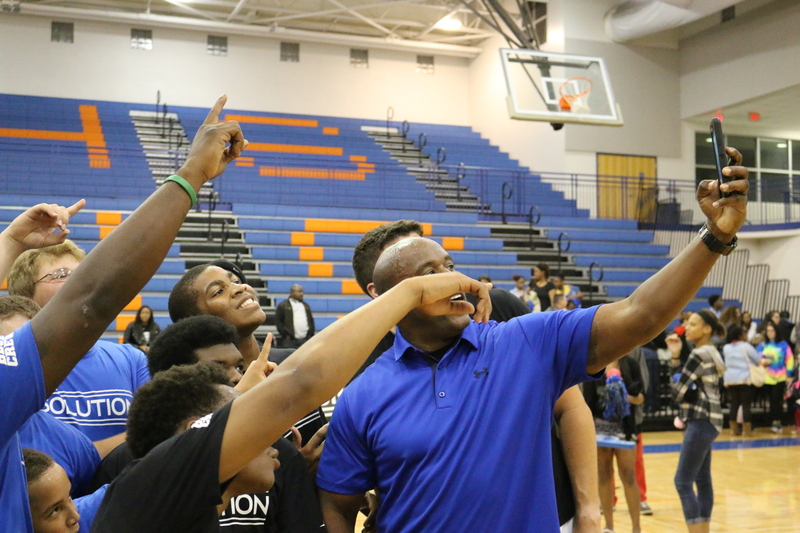 During practice, it was not uncommon to see middle and high schoolers lined up in the gym to watch. It was obvious that something was happening between the young people and the officers. 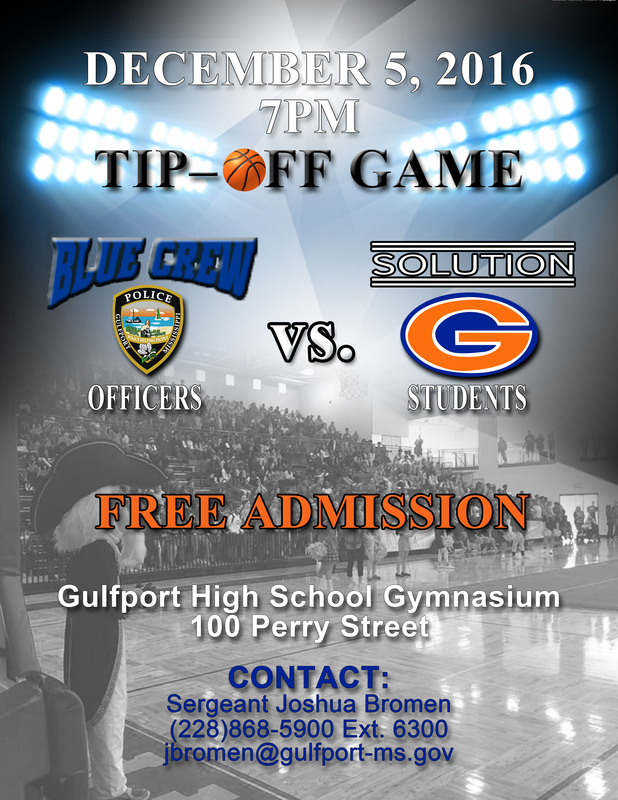 The match up was the Gulfport Police Blue C.R.EW versus Solution. Why the Solution? Because these young people are just that, they aren’t sitting at home on social media talking about making a difference there doing it. They were asking questions about traffic stops, field interviews, being arrested, why were young black men being killed by the police, why did the media show only this angle and not the officers, they were getting educated and seeking to understand. The same applied to the officers, they were learning just as much from the teens about how they felt, and the common ground was fear. Both the officers and the teens primary fear was they would not go home to their families. By opening the lines of communication between the two groups both sides were able to learn and make our community a better place to live. 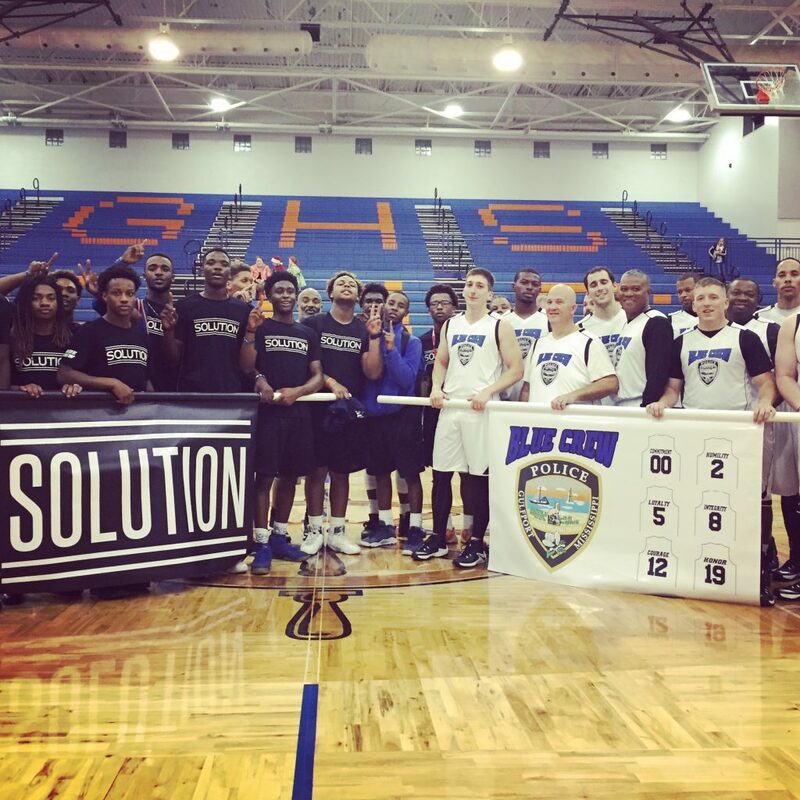 The first game was an amazing experience; the gym was packed with community leaders, families, officers, media, and young people from across the coast. The Solution won the game and immediately following the final buzzer everyone in the building was asking the same question, when is the next game? Law Enforcement agencies from across the coast were calling and asking about the program and how they could get involved. The D’Iberville Police Department challenged our department to a game, officers versus officers. That was not the direction we wanted to take the program. We wanted to continue to include the young people and stay with creating relationships. A new format was set, five officers and five students from Gulfport versus five officers and five students from D’Iberville with the game scheduled for January 26, 2017. The format for the second game was exactly what we were seeking when this program was launched. 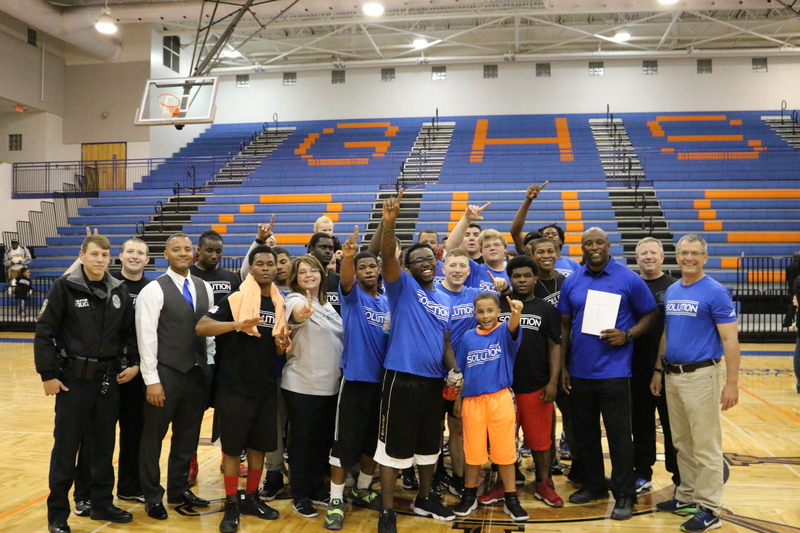 Officers on and off the court were mentoring the young people. Teaching them how to deal with failure, how to fill out a job application, how to budget their money, and other life lessons. The game was a huge success and the crowd was amazing with both cities and schools represented. 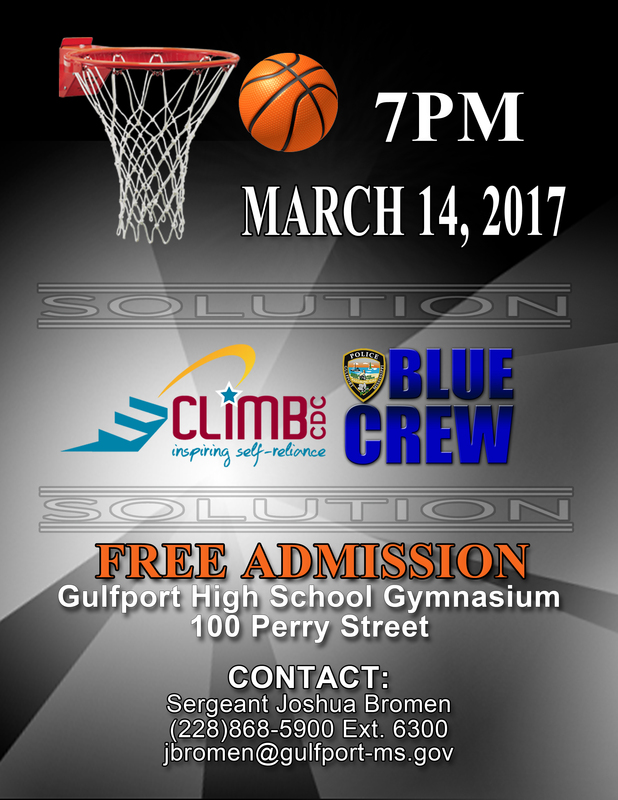 As the Blue Crew program continued to grow we were having more and more interest from other young people who did not attend Gulfport High. Out of all the groups that contacted us, one stood out, the students of Climb CDC. Most of these young people had very troubled past and had been cast away as a lost cause by most. On our first visit with the students, we were asked if they would be arrested if they fouled an officer during the game. It was clear based on their questions the only contact they had with officers was when they were being taken into custody. The game was set for March 14, 2017, and since most of these students never got the high school experience we planned for this game to feel like a homecoming with a pep rally, cookout, and more. Since this group did not have the athletic background of the other student we had joint practices with the students before they went to class. 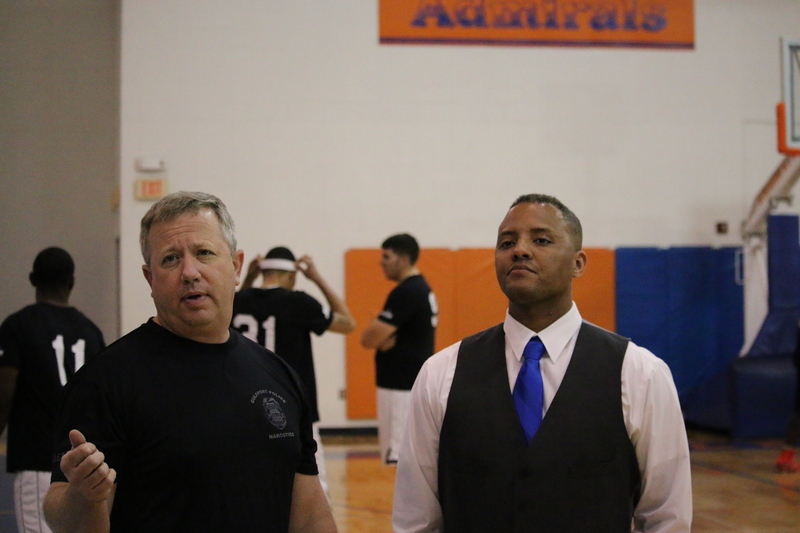 The officers and students quickly grew close and the teams were set up with two Sergeants as the head coaches and a mix of officers and students on both teams. This mix of officers and students allowed for the officers to pair off and have one student they could mentor and work with on a one on one level. The Gulfport Police Department Blue Crew program is still very young and plans are underway to expand to other activities and sports to include those not interested in just basketball. It is vital to the success of our city and agency to continue to build relationships with all of our young people. 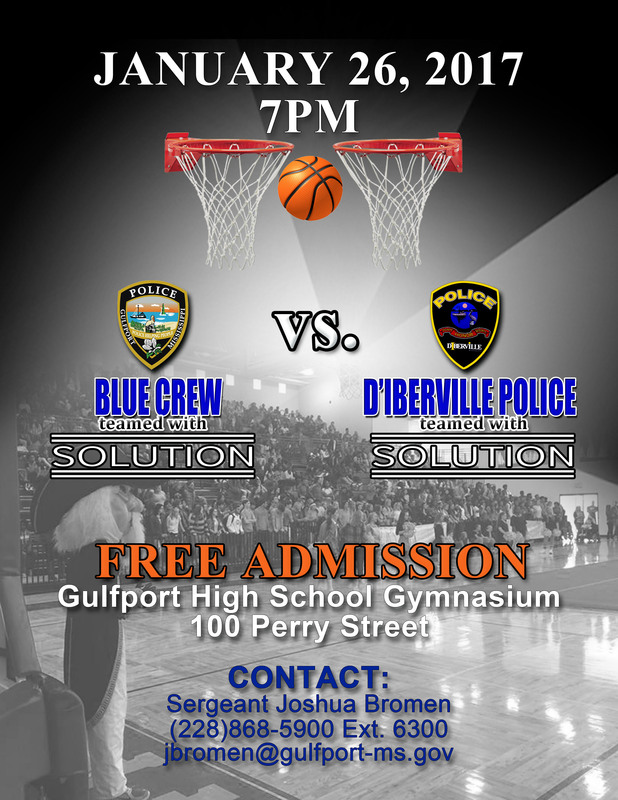 For more information about this program or to challenge the GPD Blue C.R.E.W. contact Lt. Josh Broman at (228)868-5703.